Canada's The Globe and Mail's Bestseller! Featuring some of today's most beloved actors, these piercing photographic vignettes capture female characters in the throes of powerful emotional transformations. 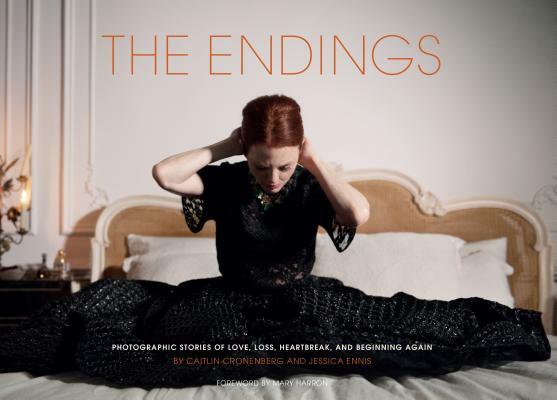 Photographer Caitlin Cronenberg and art director Jessica Ennis collected stories of heartbreak, relationship endings, and new beginnings—fictional but often inspired by real life—and set out to convey the raw emotions that are exposed in those most vulnerable of states. Collaborating with celebrated stars, Cronenberg and Ennis developed each character, built her world, and then photographed as she lived the role before the camera. The resulting collection is a bold look at the experience of losing or leaving love and will speak to anyone who appreciates art, photography, and the strength of facing emotional depths head-on. Caitlin Cronenberg is an award-winning photographer and director whose work has appeared in publications across the globe, including the New York Times and W Magazine. She lives in Toronto. Jessica Ennis is an art director, set designer, and stop-motion animator who has produced sets for clients including MTV, Microsoft, and HBO. She is based in New York. Mary Harron is a Canadian filmmaker, director, and screenwriter known for acclaimed films like I Shot Andy Warhol, American Psycho, and the Netflix miniseries Alias Grace.